Captain Ron Hueston of Naples, Florida, has been fishing 15 years in the Everglades and 10,000 Islands. An expert at targeting trophy snook in the Everglades region at night using spin and plug rods, Hueston fishes out of a Skeeter ZX22 Bay Boat powered by 250hp Yamaha. Hueston, a Professional Angler, fishes the national redfish circuit tournaments with (2) 1st place finishes. 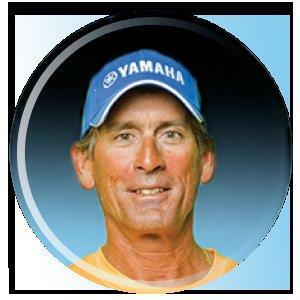 He supports his region by fishing and guiding in local inshore tournaments such as the Flatmasters and Redsnook Charity tournaments, winning several big fish awards as the guide, and Gene Doyle Charity tournament guiding his angler to a 1st place finish. Sharing information and techniques with novice fishermen to improve their skills and conveying the passion of fishing is Hueston’s objective. Sponsors include: Yamaha Motors, Skeeter Boats, Rapala, Suffix, Bass Assassin, Power Pole, Minn Kota and Humminbird.